Well, the first week of Nevada’s 80th Legislative Session has come and gone. Below is a summary of some of the most important items we’ve put on our Online Bill Tracker. Future weekly updates will include what actions committees have taken, and what kind of support various bills are receiving. This bill imposes an additional tax upon the sale of property in Clark County of 25 cents per $500 in sale value for the purpose of funding homeless services and affordable housing. The true barrier to affordable housing is restrictive zoning regulations and exorbitant permitting fees. 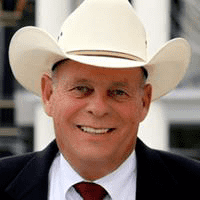 Bill SJR14 — Proposes to amend the Nevada Constitution to revise certain provisions relating to property taxes. This represents a massive increase in property tax revenue long-term. If passed again in 2019, by majority votes in both houses, it would then go to voters on the 2020 ballot. Bill SB135 — Provides for collective bargaining by state employees | This bill would increase state spending by roughly $500 million annually by increasing the compensation and number of state government workers. State workers already earn 29 percent more in compensation than their similarly-skilled and educated private-sector counterpart. Raising taxes on those earning less to further this pay gap is neither fair nor sustainable. Bill AB108 — This bill would entitle government unions to 1/2 hour of certain newly-hired state workers’ time w/in the first 30 days of employment, during work hours, for the purpose of union recruitment | Taxpayers should not be forced to subsidize the activities of government unions, which are inherently political organizations that use tax dollars to lobby for higher government spending. In coming weeks, even more bills will be showing up. Some of the drafts look promising for taxpayers and free markets — however, many do not. Here are a few issues we hope to see become bills in coming weeks: Civil Asset Forfeiture reform (BIPARTISAN) Dem BDR Improving Public Records Laws (BIPARTISAN) Dem BDR Occupational Licensing reform Opportunity Scholarship funding (However, this will be an uphill battle. Click here for more information.) Bookmark this page, and keep checking back each week for a list of what has changed on Nevada Policy’s Legislative Bill Tracker! Click here to view the online bill tracker live.